Now that your costume and fake cobwebs are back in storage and your fridge is full of leftover turkey and stuffing, guess what? Holiday shopping season is officially upon us! Assuming, of course, that you survived Black Friday, it’s time to start checking off the rest of your “nice” list. Lucky for you, we have an assortment of new items in the Museum Shop to suit everyone in your life. Since 2014, the museum has produced three great exhibition catalogs as well as a “greatest hits” of the collection. The Museum Shop has created a special discounted set of these made-in-Hawai‘i books. 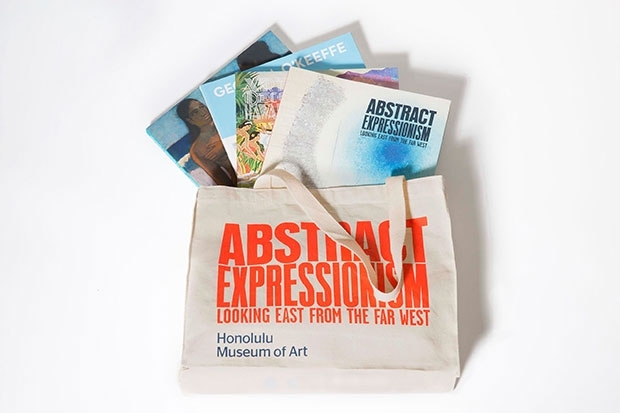 For the special holiday price of $89 (normally $120.00) you can give your favorite art lover ALL THE ART—Abstract Expressionism: Looking East from the Far West, Art Deco Hawai‘i, Georgia O’Keeffe and Ansel Adams: The Hawai“i Pictures and Collection Highlights, wrapped in our Abstract Expressionism tote (pictured above). Know a lady who likes to make a statement? 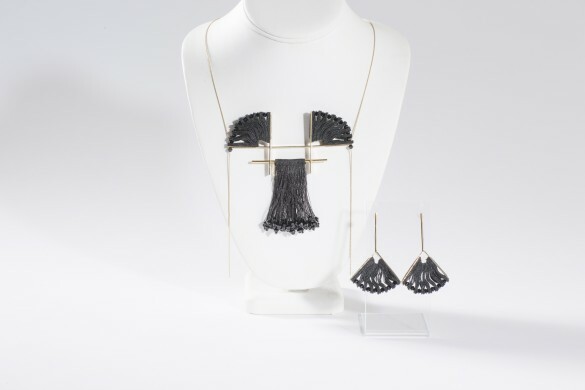 Michal Tarhalevv applies traditional handweaving techniques to industrial materials to create these intricate, eye-catching pieces (necklace $315, earrings $120.00). 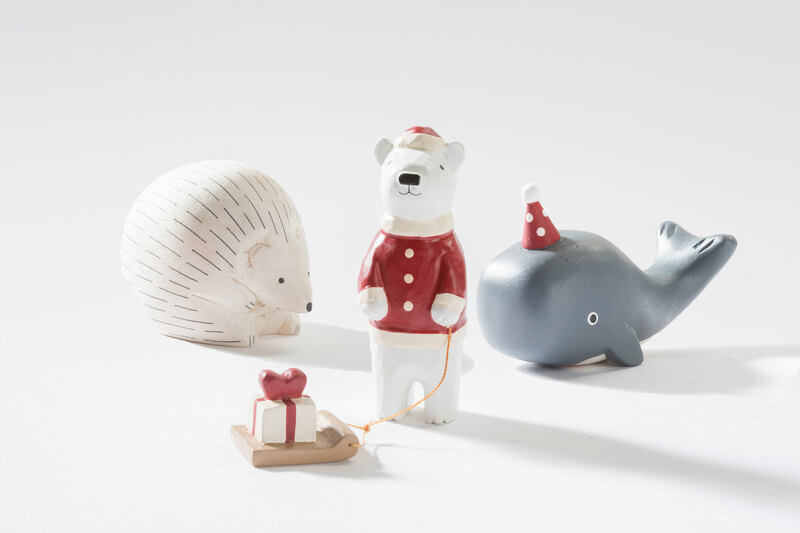 For the pet-lover or new parent whose tree is strictly glass-free, Wendy Ikeda of Hi-Fiber Felt has created these one-of-a-kind ornaments ($30) and gnomes ($50-$75). 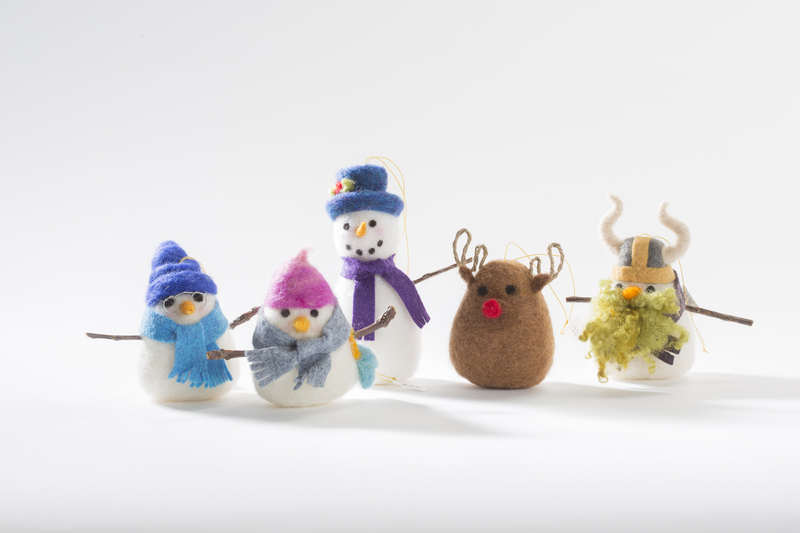 Or if you’re committed to making your own gifts this year, Wendy will teach you how to make your own felt creations in her Holiday Felting Workshop at Spalding House Dec 10. The perfect stocking stuffer for frequent travelers! 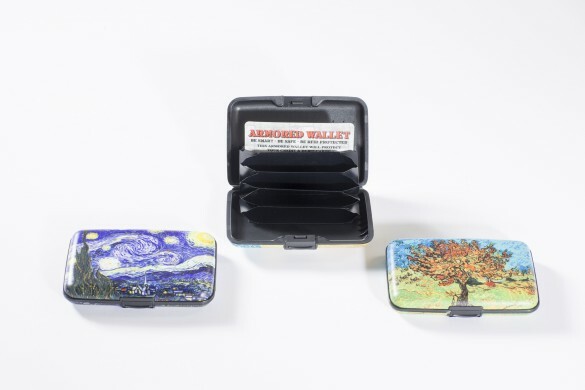 Protect credit cards from RFID scanner identity theft with this armored wallet ($12.95) that comes with a choice of iconic van Gogh paintings on the lid. Make a good impression. No one can resist these handmade wood animals ($19.95) from Japanese design outfit T-Lab, which aims to put the human touch back into gift giving. These make perfect playmates as well as holiday décor. From T-Lab’s line of Polepole Animals. “Polepole” is Swahili for “slowly, slowly,” in reference to the handcrafted care that goes into making these creatures. Questions? Call the Museum Shop at 532-8703.